There is something immediately compelling about drumming in the night. Perhaps it’s the stark contrast, the deep thumps resounding through the otherwise hushed darkness. The sound is fueled by the fires of exoticism, the drums hidden by both the darkness and the night, suggesting something ritualistic, sacred, and above all, secret. The first time I ventured out to find the source of sound it was not without trepidation. The mere act, to follow barely discernible drums and voices, which in the desert can much further than they appear, requires a willful determination. Staggering over dunes and past an oasis and across a sand river, the sound growing in volume, I came to an old area of the town. Stone husks of houses climbed up and sank into the dune. I walked between the alleys and around the strewn rock, slowly buried in the encroaching sand. Rounding a corner I came upon the frame of an old house. Inside, thirty some men and a handful of women, all “black” Moor, had assembled. The music of medeh lends a simple description. There are men leading the song, pounding on the tbel, a large round drum fashioned from a bowl with an animal skin drawn across it. The drum produces a low resonating bass, almost too low to hear. The other men begin to clap in a succession of mixing handclaps that build off one another to produce a confusing poly-rhythm. This conflux of drums and claps in contrasting rhythms blend together as one listens. Then, there is the singing: one voice leading in a strained cry to his vocal limits, subsequently answered by the chorus of voices chanting in harmonic response. It is participatory, particularly in the circle closest to that of the drummer. To sit here is to clap and sway with the song, to answer and provoke one another to be present and absorbed. 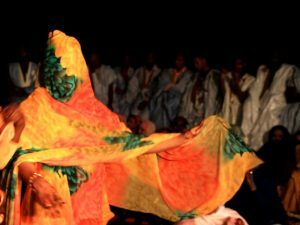 The medeh is a music performed only by the haratine, the former and modern slave caste, in the night and away from the town. The drumming and rhythm are immediately identified as sub-Saharan, and everything in the tradition can be directly traced to the heritage of a captured and marginalized minority. The content of the music is strictly religious, songs for the prophet. 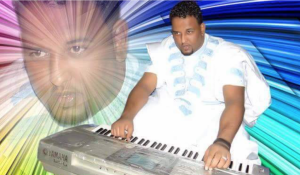 Abderramhane Ngaide compares it to American Gospel and Hatian Vodou. While it may be marginalized and referred to as “music for the blacks,” it is nevertheless a firm tradition, sung and performed every Thursday. 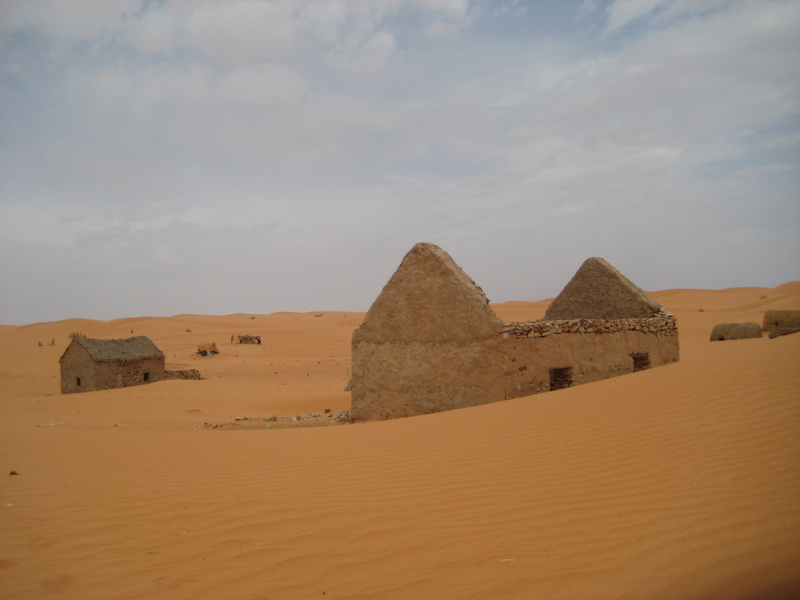 In my last Thursday in Nouakchott I waved down a taxi and directed him to the Hisakane. Hisakane means “the quiet place,” in Hassaniya, and incidentally sits at the side of the international airport. The largest, poorest slum is inhabited by a majority of Black Moor. Every night, a jet streaks overhead filling the air with a roar and a blast of wind. So close, but wholly inaccessible. 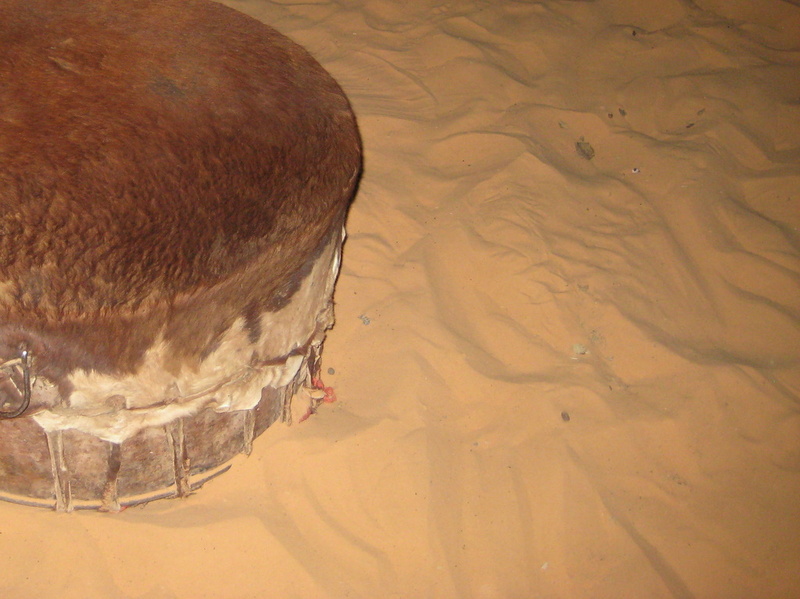 After a few minutes meandering the twisting sand streets I heard the low thump of a drum. I don’t speak Hassaniya and none of the Moor who assembled spoke French. A young man from Bassikinou knew some Tamashek however, and invited me to sit to the right of the drummer. Sitting and swaying and clapping, the crowd growing behind us, I never knew quite what was happening. That night the houses were lit like Chinese lanterns, the bare bulbs filtering through the wide cracks between the slats. I looked for Orion to find my direction, but the city lights of Nouakchott glistened off the dust in the wind to turn the black into a hazy glow. Lovely image. Thanks for sharing. Truly. Just discovered the blog- great description, great sounds and great photography. Looking forward to reading more…. this night and field recordings have credits?